Welcome to our Brentwood Dental Blog! At Brentwood Dental Group, we seek to deliver the highest standard of excellence in dentistry with the goals of improving your oral health and providing you with a more beautiful smile. Our friendly and knowledgeable staff are trained to accommodate you and any special needs you might have to create a warm and welcoming atmosphere starting from the moment you schedule your first appointment. Dentistry is a combination of Science and Art, and both fields are changing every day. We strive to keep up with the latest technology and best practices that have been developed in the dental field. According to the American Dental Association, the number one reason for increased life expectancy in the United States is improved oral health, and we are here to provide you with the means for a healthier and longer life. We place a high priority on educating our patients on the pros & cons of their dental conditions and their available treatment options. We encourage our patients to actively participate in decision making for their treatment. 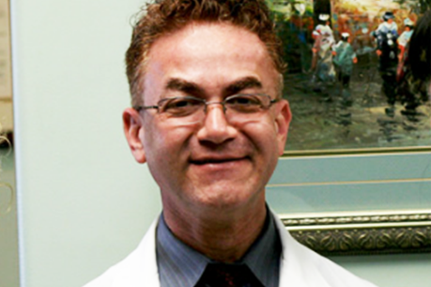 Dr. Rostami obtained his Doctoral degree in Dental Surgery from the New York University’s School of Dentistry in 1994. He was chief resident at the Manhattan VA Hospital. Dr. Rostami also received his Post-Doctoral degree in Prosthodontics at the University of California-Los Angeles.